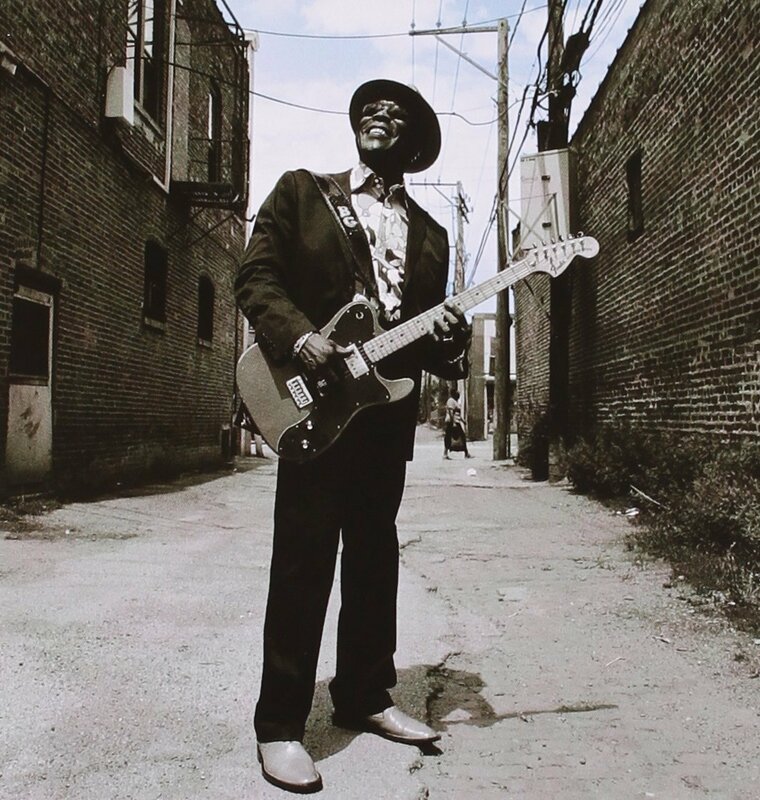 Pathfinding Colossus of the Early Blues BUDDY GUY Offers a First-Rate Album — But Will It Make You Cry? Buddy Guy is considered to be the first modern blues man. During a fruitful career, he sought friendship and collaboration with ‘pop’ artists causing some fractious opprobrium from the ‘serious’ Blues fraternity. He is often cited as the reason Clapton picked up a guitar. 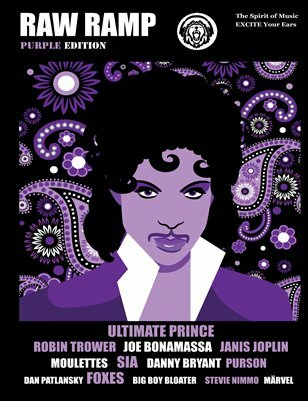 Everyone agrees that his creative genius inspired Hendrix. And he’s an established friend of the Rolling Stones. Yes, everyone knows his name. Except God, that is! This new album (produced by Tom Hambridge) is a summation of his lifetime’s work. 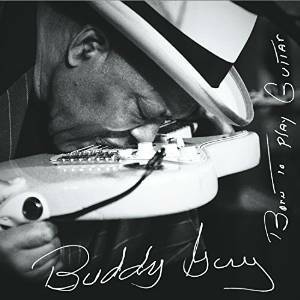 It is also a timely reminder, lest we forget, that even if he is a man for all seasons — Buddy Guy is, now, our only breathing connection to the classic Chicago blues era. Born in 1936 in Louisiana, Guy learned his trade with a two-stringed diddley-bow that he built himself. He joined local bands and began performing around the Baton Rouge bars. In the 1950’s he moved to Chicago and in 1958 he managed to get a recording contract with Otis Rush. Shortly after, he was recording with Cobra Records. During the 1960s, Guy played with Muddy Waters as house guitarist with Chess Records. He also started a musical collaboration with harmonica player Junior Wells. In 1965 Guy participated in the European tour of the American Folk Blues Festival. Guy has won six Grammy Awards during his long career. He was inducted into the Rock and Roll Hall of Fame in 2005 by Eric Clapton and B.B. King. His newly published and wonderfully fresh studio album “Born To Play Guitar” features friends including Van Morrison, Joss Stone, Kim Wilson & Billy Gibbons. The recording includes heartfelt tributes to B.B. King & Muddy Waters… Perhaps reminding us that Buddy is Last Man Standing! But there’s not much anger, shame or humiliation in this work. Guy is proud of his contribution to the world. (And so he should be). And, although he faced his fair share of alligators, weasels, crows and prairie dogs (in the business) — he saw them all off. Now he stands proud. And accepted. “I was born in Louisiana…” Guy reminds us, on the opening (title) track of the album. 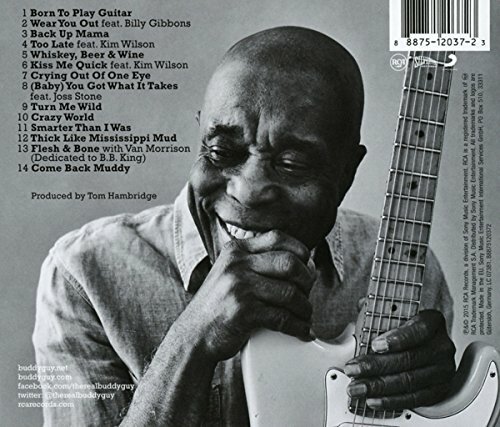 It is said that Buddy Guy doesn’t play guitars… He punishes them. “Wear You Out” is a hot and steaming rock-frenzy with Billy Gibbons. Here the work is fast, dirty, muddy and heated. The text could easily be about his woman. Although, in this case, they are about his guitar. This treads slowly and deliberately. The expressively sullied guitar gurgles in the joists and rafters. While fat horns create more stalwart frameworks. The voice here is wheat, malt and water. Dirty as a cypress swamp den. Harp player Kim Wilson plays on “Too Late” (and also Kiss Me Quick.) The track is a filled with bar-room chaos. It’s a bye-bye song. The groaning harmonica seems more frazzled and frayed than it has any right to be. The moving “Flesh & Bone” is a prayer-hymn for B.B. King. With emotional vocals from guest Van Morrison. A sympathetic organ winds through slightly cloying slide guitars… And it’s hard not to be affected by this. Especially the “Mummy and Daddy” line. It will bring a choke to your chest. But this is also a joy-filled number, because life is “More than Flesh and Bone…” Faith cannot be explained in words. It’s a way of living. Faith is a miracle to enjoy. Perhaps the best way to illustrate the true nature of the faith is with music like this. Full of wonder. And, in the case of Buddy and B.B. King — faith has been generated, harnessed and demonstrated by living life… And filling it with experience and generosity. Constantly atmospheric. Abundant with expression and feeling. Stuffed with hopes and promises. This new album might make you cry. He was born to play guitar. So, allow his sounds to enter your bones. And run fresh through your veins!